What’s the best source of capital for your company? There are many small business financing options, each with their own advantages and disadvantages. Join new MMSDC member Community Reinvestment Fund, USA for a discussion around financing sources available through a wide variety of non-traditional and traditional lenders. The event will be held Wednesday, May 22, from 8:30 to 10 a.m. at Golden Valley Golf & Country Club, 7001 Golden Valley Road, Golden Valley, MN 55427. Come prepared to write down a financing need that you or a colleague have/had and a few facts about the company. They won’t use names or identifying information, but these situations will help guide the morning’s conversation. Guests will also be given a list of the top ten things you can do to prepare the strongest loan application possible. This will be a two-way discussion so come with any and all questions that you might have. Community Reinvestment Fund, USA (CRF) is a non-profit, mission-driven SBA 7 (a) lender with a commitment to helping minority, women and veteran-owned businesses access the financing they need to grow and create jobs. You can find out more about them at www.crfusa.com. There is no cost to attend the Community Reinvestment Firm event, but an RSVP is required. RSVP at www.mmsdc.org. Space is limited. Registration deadline is Friday, May 17th. A continental breakfast will be served. 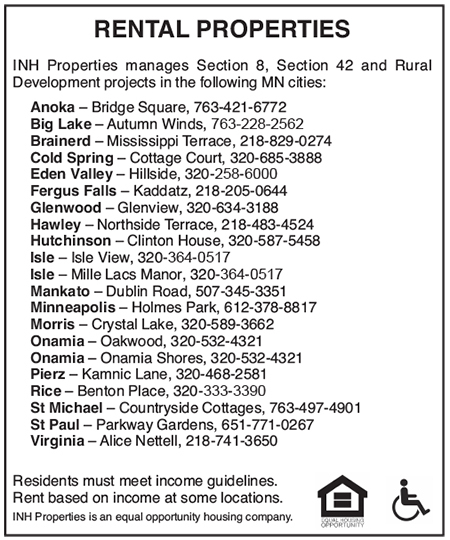 Call 612-465-8881 or email [email protected] for more information.